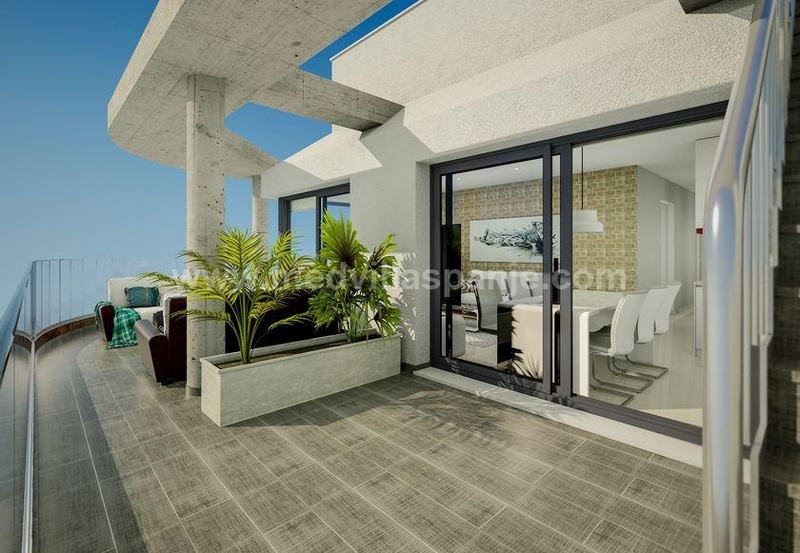 Beautiful spacious apartments in a residential zone 10 minutes drive from the beaches of Orihuela Costa and in a beautiful area with as bonus the golf course and many amenities such as a commercial zone and sports facilities. This new construction project has apartments with 2 and 3 bedrooms, all with 2 bathrooms. There are 2 types available; ground floor apartments with garden of over 85 m2 and duplex apartments with spacious private sun terrace. Each phase in this project has its own swimming pool with jacuzzi and a children's pool with various green strips with various palm trees. You can fully enjoy all the sports that the resort, at 15 km from the coast, has to offer, such as golf, bowling and paddle. In addition, a supermarket, restaurants, bars and a clubhouse are available at the resort.